What if New Orleans Mayor Mitch Landrieu held a news conference and admitted the unthinkable, he’s sorry? What if he came clean with the people of New Orleans and confessed to focusing on the wrong things as mayor and as a result the city he’s run for more than seven years is a mess? What if he started his confession by admitting he’s caused great harm to the Big Easy by dividing it so deeply along racial lines? What if he conceded what we already know, that he tore down historic monuments hoping it would springboard him onto the national stage and endear him to the Democrat party’s national Hard Left base giving him a shot at the presidency? What if he divulged giving a speech that went viral in front of Gallier Hall on tearing the down the monuments was never meant for locals but instead designed to get national attention? What if Mayor Mitch looked straight into the TV cameras and admitted it was a huge mistake with devastating consequences when he decided to implement a hiring freeze on cops shortly after being elected? What if he apologized to all the victims of violent crime in the past seven years for that decision? What if he told us he lost sleep at night knowing his city is a dangerous place and he is partly to blame? What if he admitted he’s frustrated he’s been unable to control crime? What if Mayor Mitch also leveled with us that he’s known all along he couldn’t really do anything consequential or meaningful about climate change as a mayor but thought portraying himself as a leader on the subject would increase his chances of getting his party’s nomination for president? 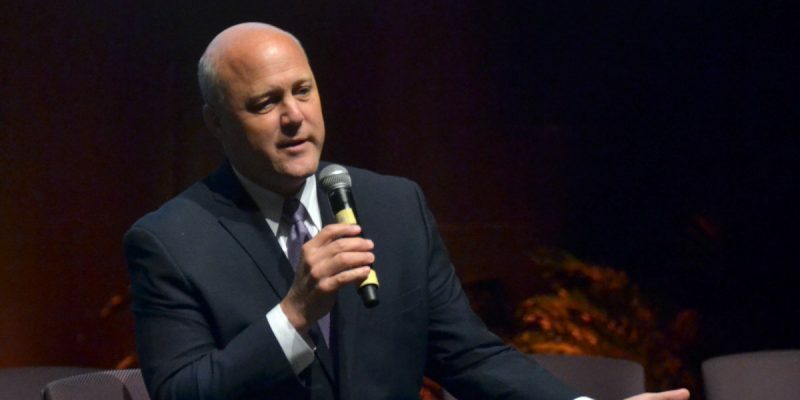 What if Mr. Landrieu opened his heart to all the victims of the recent New Orleans flooding and told them directly what they experienced is because he’s focused on climate change, monuments, and being president of the Conference of Mayors and ignored how badly the city’s drainage system had decayed? What if like Harry Truman he uttered the words the buck stops here and meant it. What if he stopped making excuses for letting the pumping stations, storm drains, catch basins, and the drainage system decay so badly? Mayor Landrieu has given more excuses than we can count this week and blamed everyone but himself for all the flooding and the city’s ineptness in dealing with it. What if he stopped giving us excuses, no more scapegoating, no more lies? What if he affirmed to us he’s the mayor and he will take full responsibility for his mistakes and stop being an excuse machine. He’s in charge and answerable for who he has hired and from now on he’ll lead without passing the buck. People are forgiving and willing to give second chances and Mayor Mitch would see this first hand if he admitted what we already know, he’s made a lot of big mistakes as mayor of New Orleans. That’s how Mayor Mitch can make it right.